My wife and I often go to Corpus Christi to visit her sister and husband. Since their son now has a young daughter and their oldest daughter has two daughters and a son, they’ve been thrilled to be grandparents. There’s a lot of love going on there. Love is what it’s all about. But this kind of family love isn’t automatic. As a youth, I was an “Army brat,” so our family moved from place to place, and we didn’t get to spend much time with my grandparents. My grandfather on my mother’s side was a foreman at a Kennicott open-pit copper mine in Nevada. In 1954, when I was nine, my family, which included five children at the time, piled into our 1951 Mercury and drove from Missouri to Nevada for one of our rare visits. McGill was a small Mormon town. Back then none of the streets were paved and the main street looked exactly like a town out of a western movie. The businesses on both sides of the street had wooden porches and swinging doors. 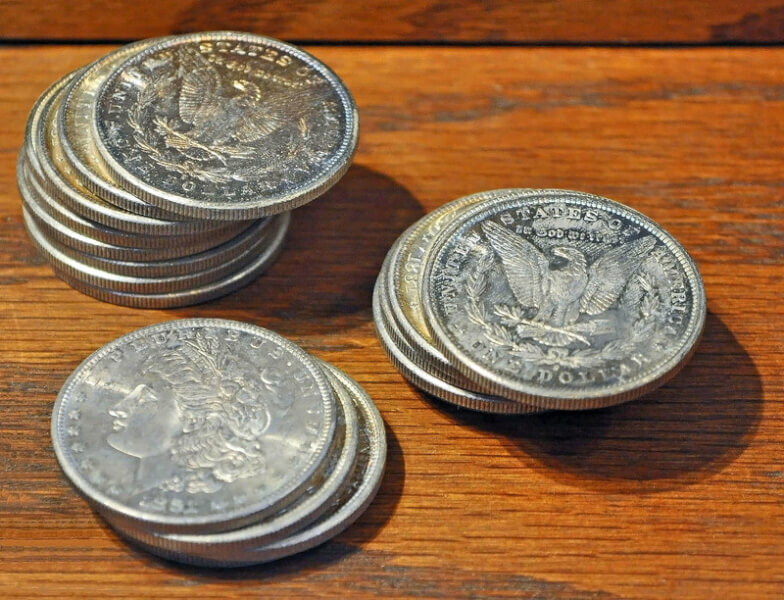 I was a Cub Scout and collected coins, so I was impressed that everyone spent silver dollars. Afterward, Grandpa took Mom and me to see the mine. We got out of the car, and I followed them to the edge of a panorama that took my breath away. We stood before a man-made pit that was about a mile across. Huge earthmovers several hundred feet below us, almost too small to see, were busy scooping and loading dirt. I didn’t want to join them on the edge of the precipice. There was no railing. What if we fell off? What if the earth gave way beneath us? My body shook with fear as I went to them. They held my hands. Sunday the family went to services in one of the two Mormon churches. These were the largest buildings in town, constructed in the architecture of the early pioneers. It seemed as if the whole community showed up for Sunday School. In Missouri, our church services never had more than 20 people. Here, the authority of the church was pervasive, palpable. Mom was the eighth of sixteen children, and three of my aunts were still living at home. The youngest, Janey, two years older than I, was bigger, stronger and wiser. One morning, she and I were playing in the living room. Our contest reached a physical stage and she grabbed me from behind. I turned hard to free myself and she fell to the floor. In one motion, my grandmother leaned forward, lifted her massive weight out of her chair and slapped me as hard as she could across my face. “You don’t shove girls,” she said with a frown and fell back into her chair. I was on the floor, the left side of my face hot and stinging. Surprised and stunned, I struggled to keep from crying. “We were just playing. I didn’t hurt her,” I said. I turned my head towards the living room window, a blaze of white light. I didn’t want to look at my grandmother’s face, and I didn’t look at her again during that visit. When the family left, I didn’t say goodbye to her, and we never returned to McGill. I never saw my grandmother again, and I never again thought of her with affection. It was as if a small flame in my little-boy-heart had been blown out by a winter wind, extinguished forever.